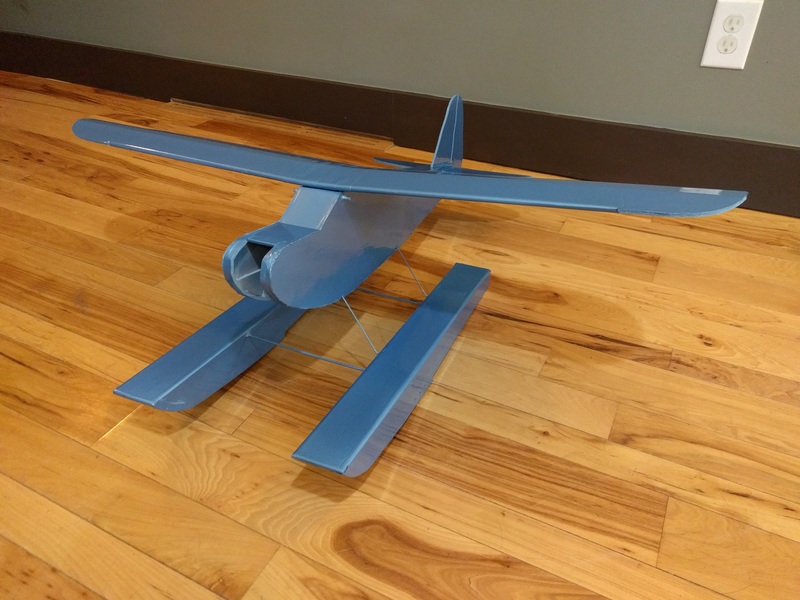 Just scratch built my second 4ch FT Simple Cub with pontoons, and I'm liking the finished product more than my first attempt - enough to want to paint it! 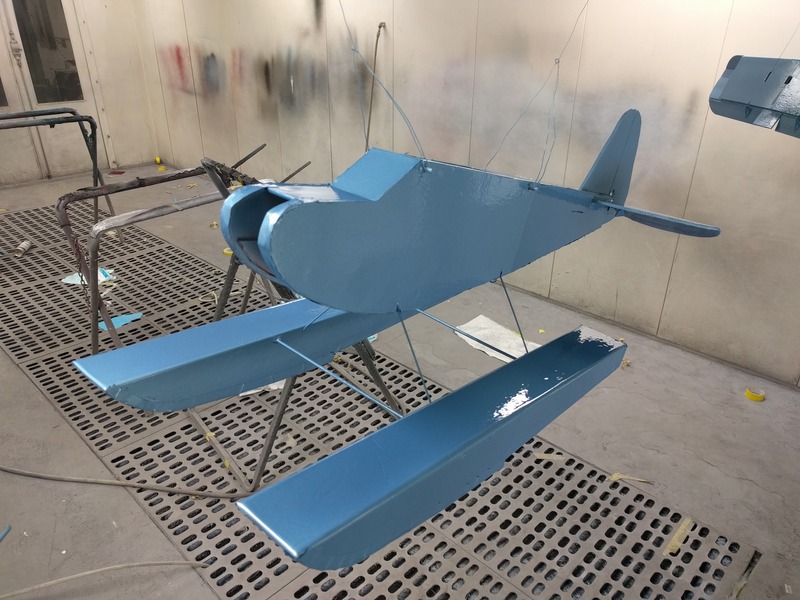 So I'm not a veteran of the Flite Test community or anything (having only built two planes), but I do work as an automotive painter at a well equipped shop, and my manager let me paint the plane in the shop this morning. Earlier this week in my forum introduction post, I tested out our materials on my unused bomb drop cutouts. The stuff looked pretty good, for foam board (it's easy to see wrinkles and so on, but the gloss is nice), and it was pretty strong and flexible too. 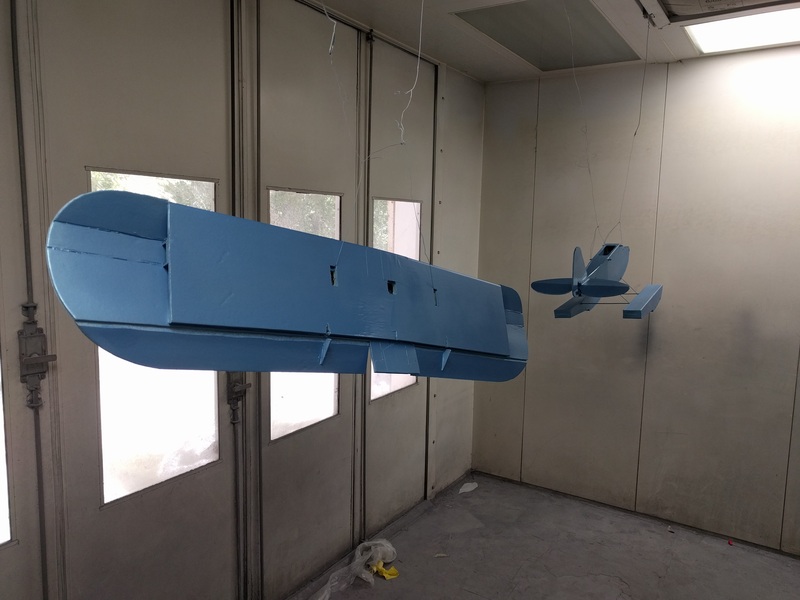 Of course, automotive paints seal against moisture, and the topcoat provides UV protection. 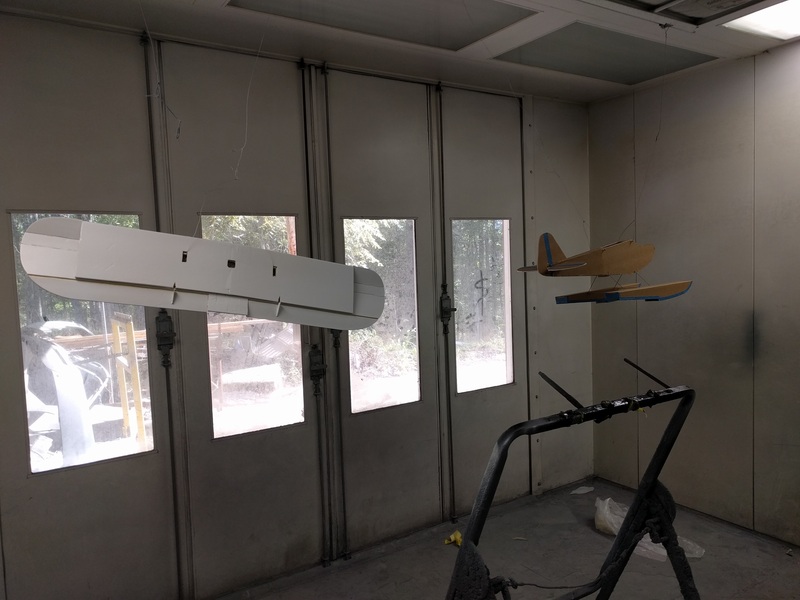 I figure I'll let you know what I did, since there might be folks out there with decent ventilated paint sheds and sprayguns and so on. Similar quality/different brand materials can be purchased from most motorparts stores that supply local shops (not O'Reilly's or Autozone or anything, but actual supply stores). Some might require that you have a shop account but the one in my town doesn't. 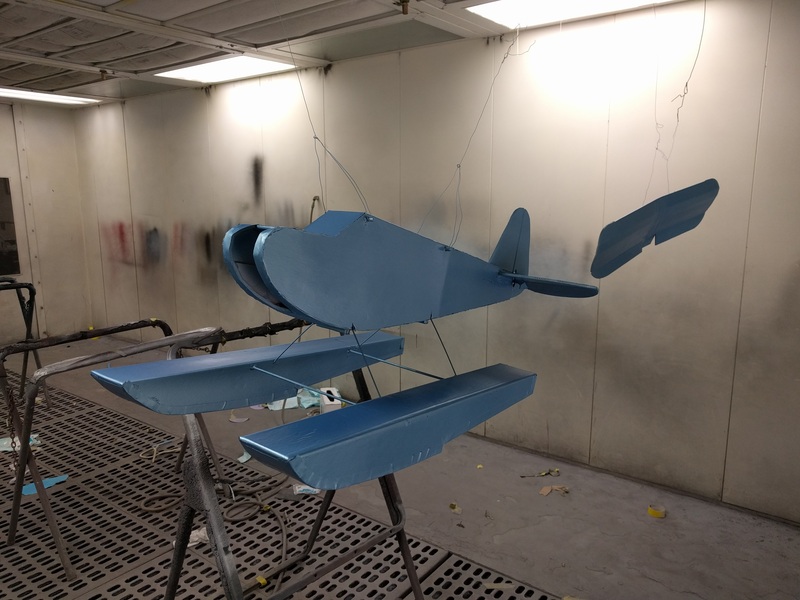 I chose to simply spray the fuselage and wing separate, with sealer first, no prep, let that dry for about 20 minutes, spray waterborne basecoat and let it flash completely (this takes about 30-45 minutes depending on humidity), and then spray a light coat followed by a medium wet coat of our productive bake-clear, and bake it at 120 degrees for 45 minutes. 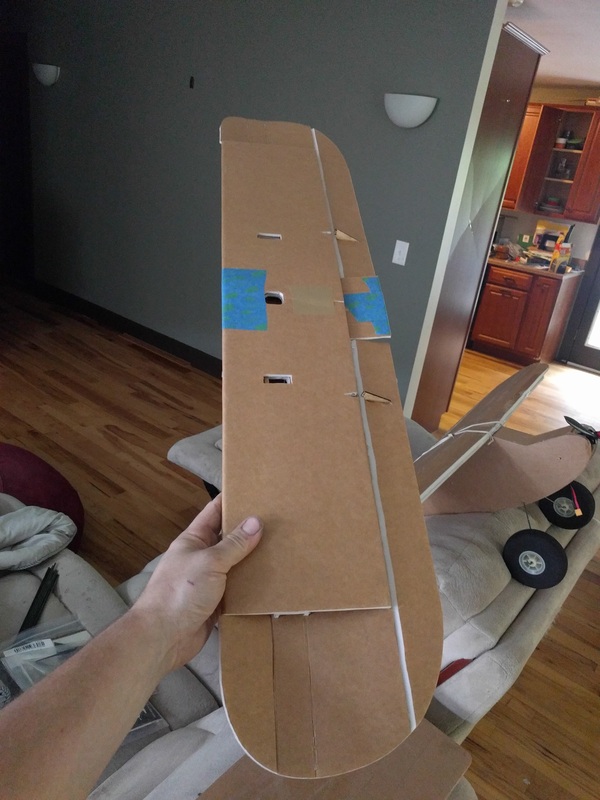 I'm not gonna just hang this plane on the wall or anything, I'll probably crash this one as much as my first one, so I didn't spend a lot of time (or any) cleaning up edges, nor using primer and sanding it flat. 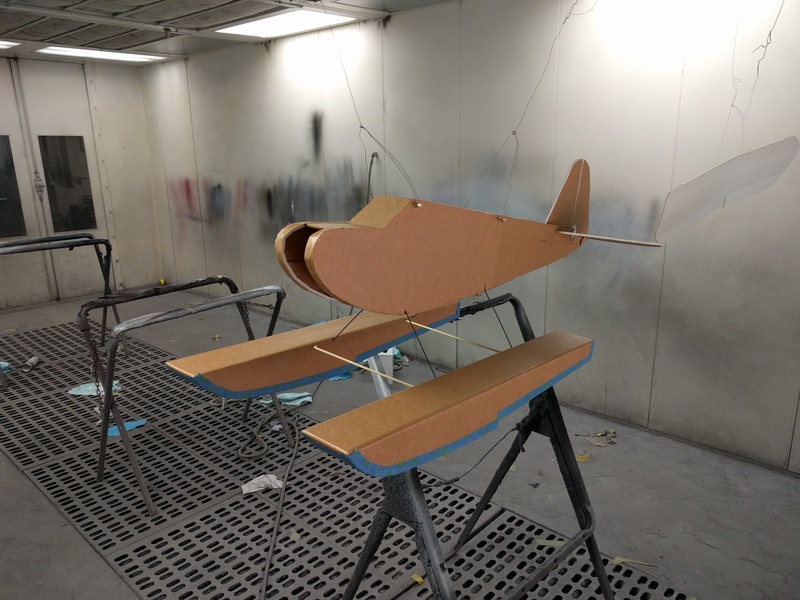 I finished building the plane last night, then went to work and sprayed it in about 2 hours this morning! 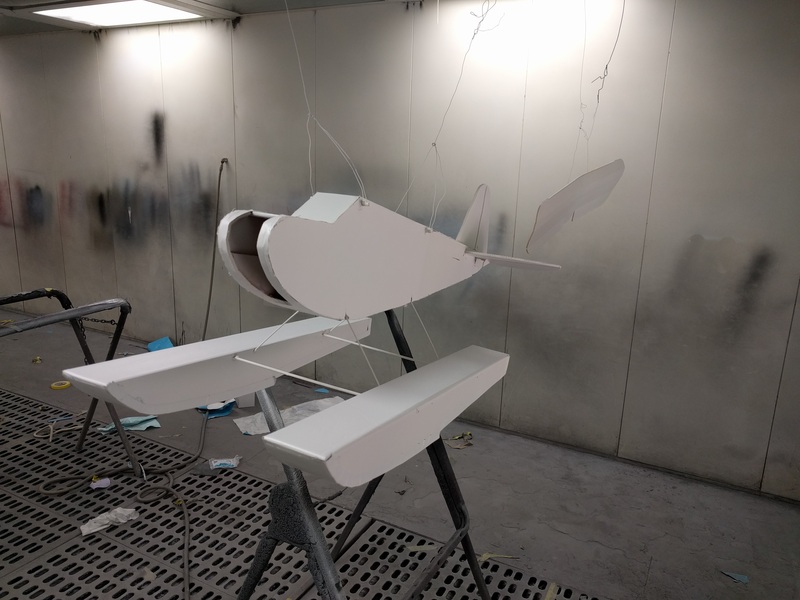 I weighed it before painting and the fuselage assembly gained 76 grams, and the wing gained 44 grams, for 120g total between sealer, basecoat, and clearcoat. I'll probably slap some stickers or vinyl graphics somewhere on it after the electricals are installed. Let me know what you think (or if this post is not quite in the right place!). nice. how much weight did it add? hehe that was my first thought. Second was how well the hinged areas survived the first time they were flexed. Did the paint chip or crack? Second was if there were going to be other markings to make it be seen in the air as that paint looks like it would disappear on a cloudless sunny day up in the sky. Nice. Automobile lacquer is hot fuel proof also (nitro). 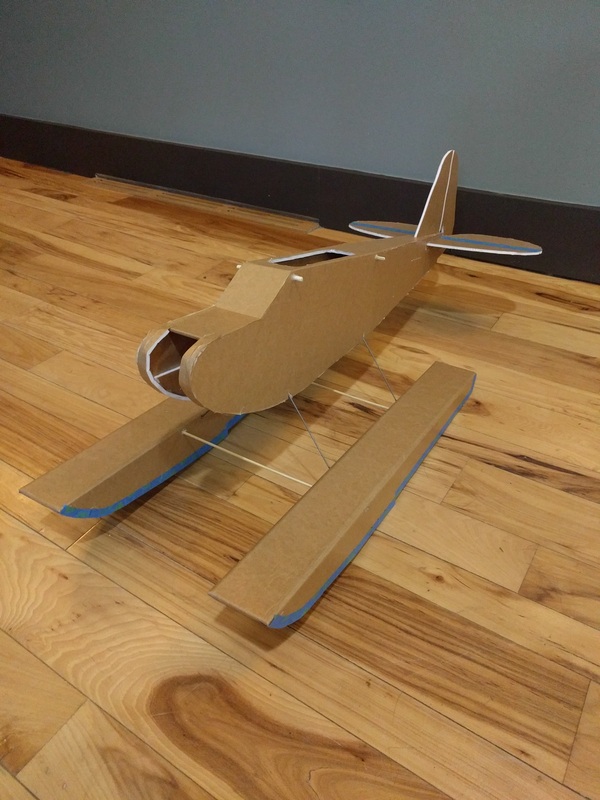 Back in the day, most of the cool balsa and fiberglass planes were painted that way. 120 grams total. Not bad! Nope, no cracking or chips. 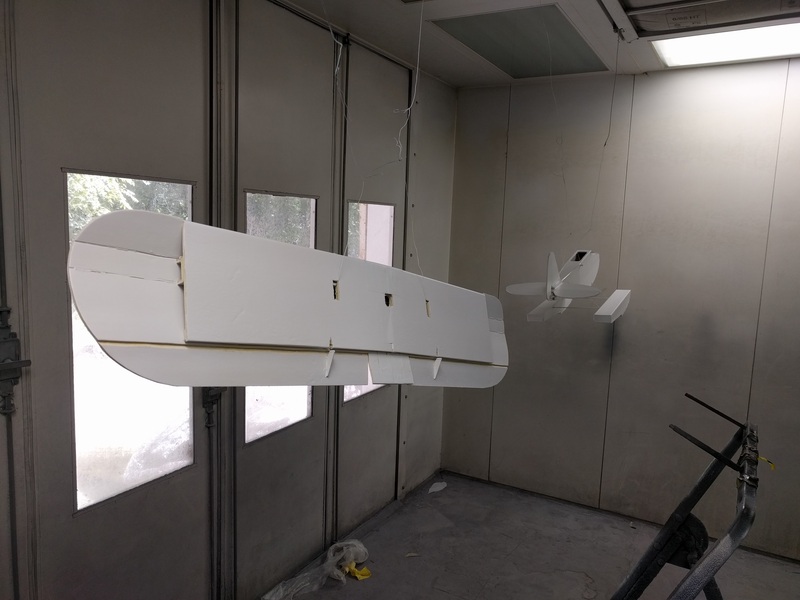 Our paint systems (and most quality automotive paints in general) are extremely flexible - we use them on flexible plastic bumpers everyday, through a wide range of temperatures. The flexibility also helps resist rock chips on metal panels. 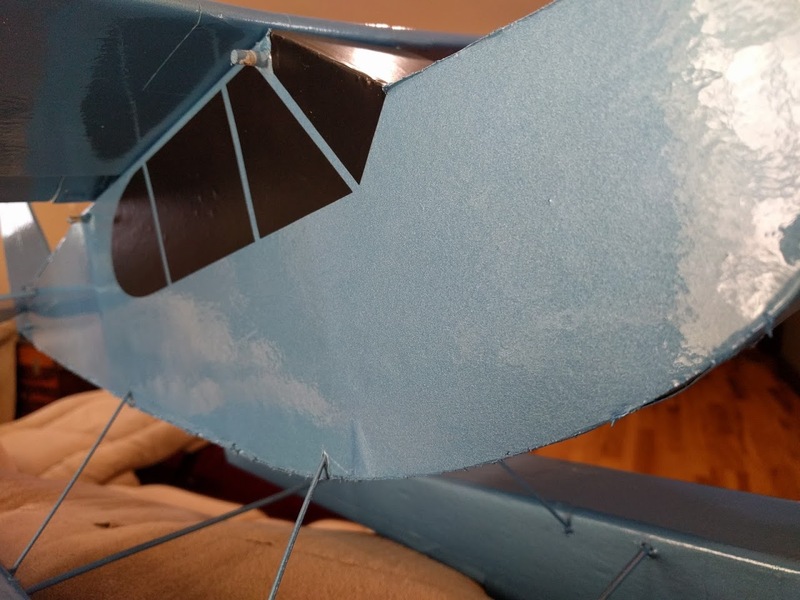 I've been programming the second plane all evening, and after constant aileron actuation it still appears just as it did after painting, no sign of cracks or change in the film consistency whatsoever. Thanks! 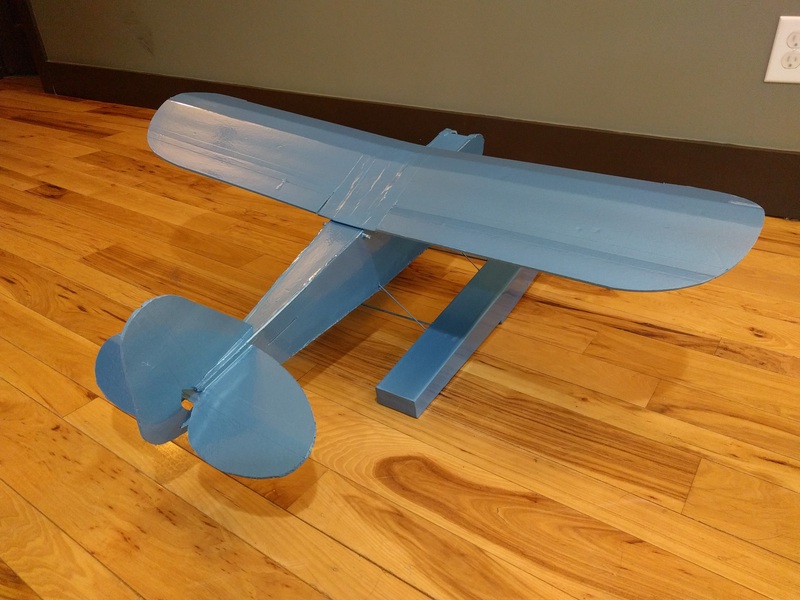 It doesn't look as good as the cars that come through the shop, or the guitar that I color matched to get this nice blue metallic flop basecoat, but for foam board I think it's just fine. I will be putting some black vinyl in a few spots to break up the mono-color! I live in a valley a short walk away from a barely-used baseball field, so the blue should be easy to spot at most altitudes with the mountains for a backdrop. It's also just a really nice color, sort of classic until you see the flop on the side and then it turns laser blue. Looks beautiful to me! Great job! WOW! That's a great looking paint job. Wish I had access to some paint like that. 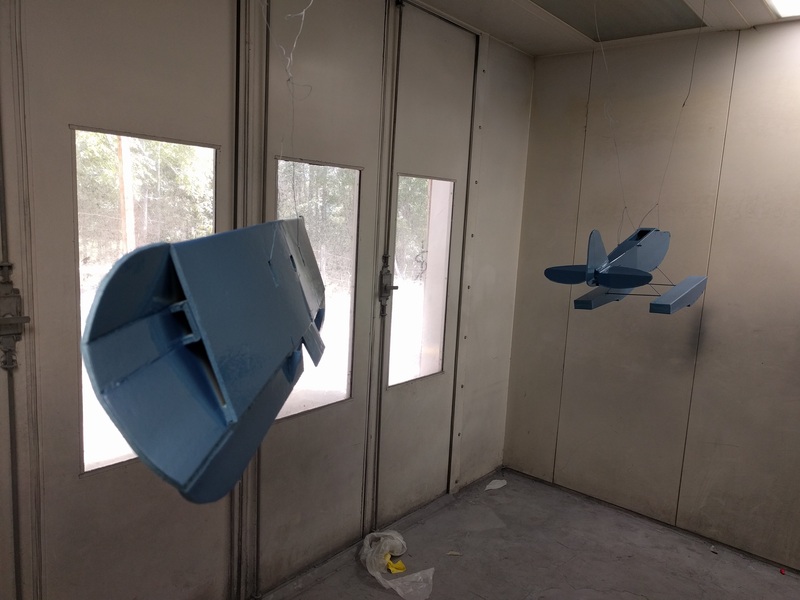 You can most any parts store that sells automotive paint is a viable source, you will find out it is not cheap thou. at least in the US, you do not need any special paper work to purchase. Lacquer would be much lighter once dry but will lift many basecoat ( color ) if not careful or use compatible paints. 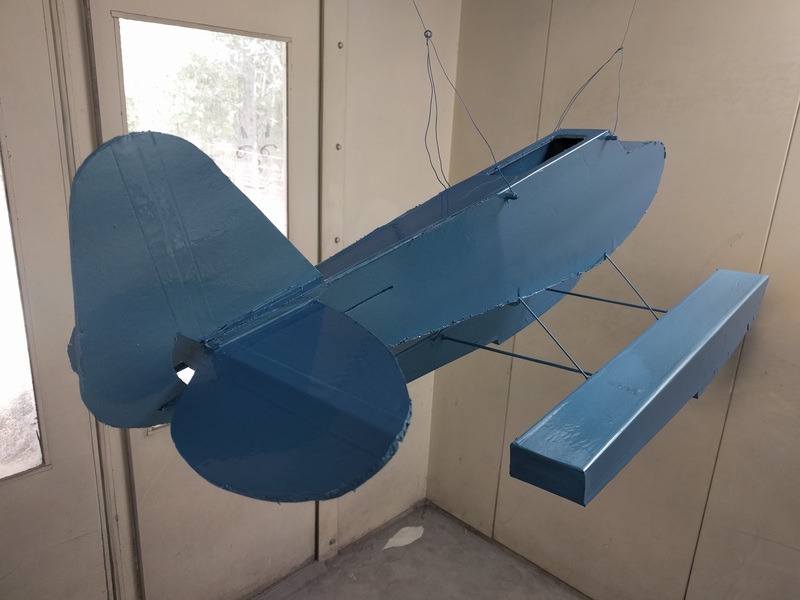 You can buy Lacquer clear from Walmart or many other stores in spray cans which can give you the same type of finish without having a spray gun etc.